Hello P365 friends. Sorry I've been out of the game for so long. 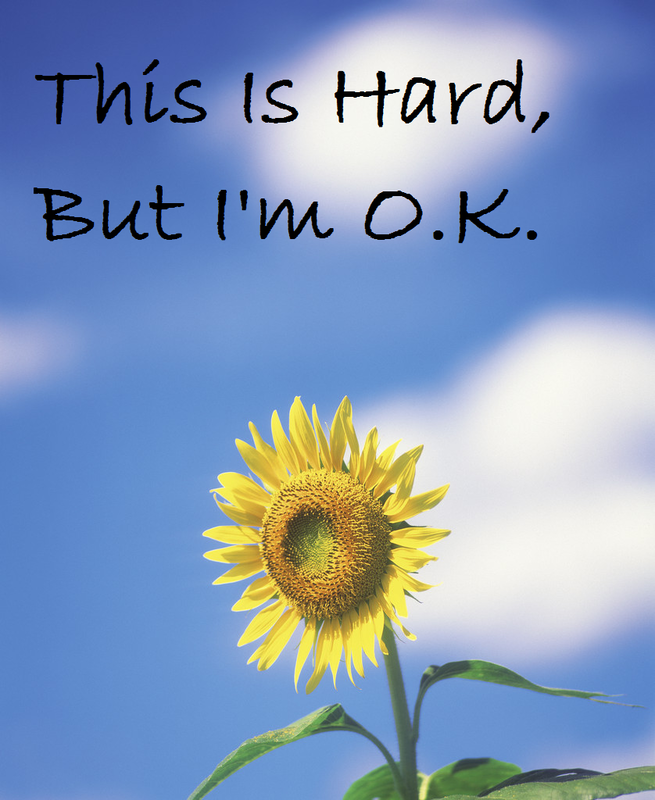 My bi-polar has gotten worse over the last several weeks and now I'm in a partial day hospital program to learn how to deal with things better. It's hard, but I'm learning things that will hopefully be helpful for a long time. This is the image that I came up with to use as my "mantra" of sorts. I printed them out & put them where I will see them when I'm struggling. I haven't been taking many pictures, but I put together a sort of catch up post with some from the past weeks. Oskar displays what the rest of us feel by refusing to leave the bed! Chloe longs to be an outside cat and is obviously jealous of Oskar. I know he secretly loves her jealousy, lol. I caught this bee on a flower & figure this is the last shot like this I'll get this year. Oskar showing me his distaste for being woken up with the camera. Homecoming for Jack & Alexis. Isn't she tiny! Chloe enjoying her nip toy. She cracks me up. Oskar is happy that we got out his "personal space" heater. How can you resist a schnauzer face. I took a pic of John David's door for a little contest that some of the pet blogs that I'm involved with are having. He did this duct-tape treatment to his door about 3 years ago. Everyone is worn out from their week. Naps for everyone! If you haven't done it yet, you still have time to register for my Shutterfly Holiday card giveaway here. For more Project 365 stop over & visit Sara. Last year I discovered how awesome Shutterfly was for holiday cards. You may know that my miniature schnauzer Oskar has his own blog, and for Valentine's day I got him some great cards to send to his female admirers. 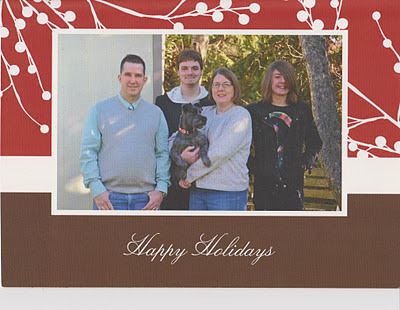 We also ordered our holiday cards from Shutterfly last year and loved the way they turned out. I have to mention how easy it was to order them & how quickly they got here. They offer tons of different layout options for you to choose from, or else you can just follow one of their pre-made themes. OK, so you already know I'm crazy about Oskar, so with one of Shutterfly's great coupon offers I ordered him some holiday cards for this year. I really love the non-traditional style. 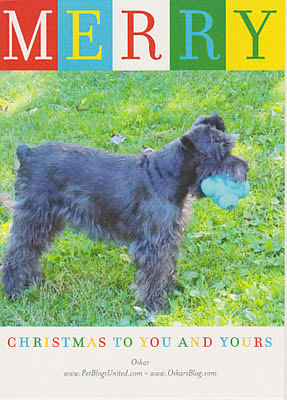 Shutterfly also has a great selection calendars, photo gifts & greeting cards. Now for the best part! 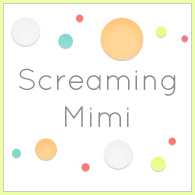 Shutterfly has offered me a giveaway of 25 free cards to 3 different Screaming Mimi readers! 2. 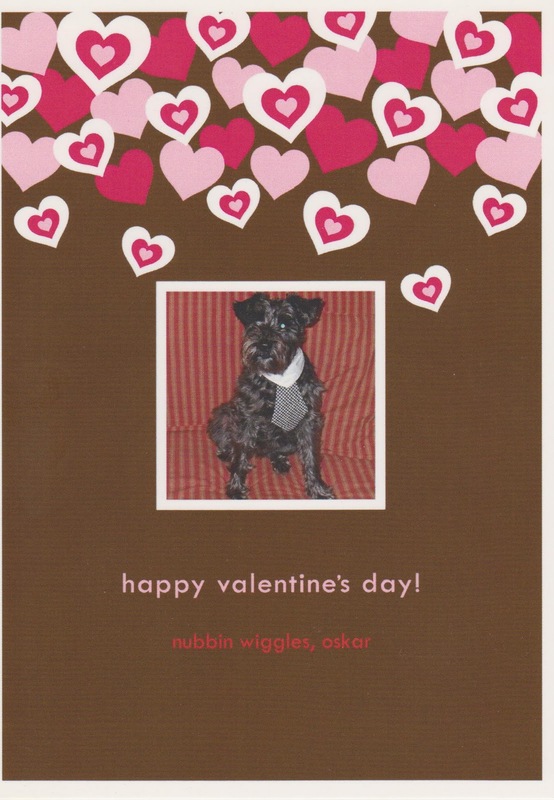 Go To Shutterfly and tell me what kind of cards you would like to order. That's it! Leave one comment telling me that you follow Screaming Mimi and which cards you like best. On October 31st I'll pull a name 3 names out of a hat. Make sure that your e-mail address is in your profile or in your comment, or you can't win. Comments will close 10/30 at midnight Eastern time. Winners will be notified via e-mail and have 48 hours to respond or else a new winner will be chosen. What are you waiting for, the holidays are getting closer! Hello friends, if there are still any of you out there! Sorry I've been gone so long. I took some time off to deal with issues related to my bi-polar brain. I've missed all of my blogging buddies & I wanted to get back to show you pics of Jack, my youngest, and his girlfriend Alexis on their way to the homecoming dance. Here they are trying to figure out how to put on Jack's boutonniere. They had a great time at the dance & I'm a little sad for another milestone that we have passed on the way to his adulthood. 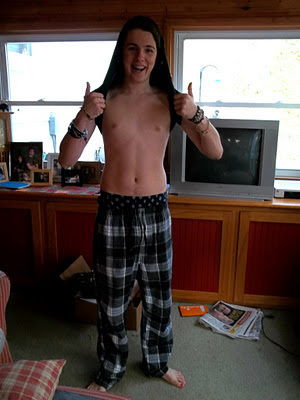 John David is still working and trying to figure out what he wants to do with his life, but at 19 I figure that's just fine, since he's doing well at his job. I may still be hit or miss here for a while while I try to figure out the dark clouds in my head, but I do have a couple of fun things coming up. 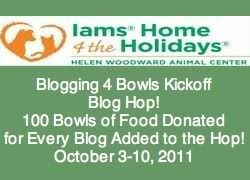 One Post Equals One Hundred Bowls!